Sometimes the best part about playing a game can be discovering a new way to play it. 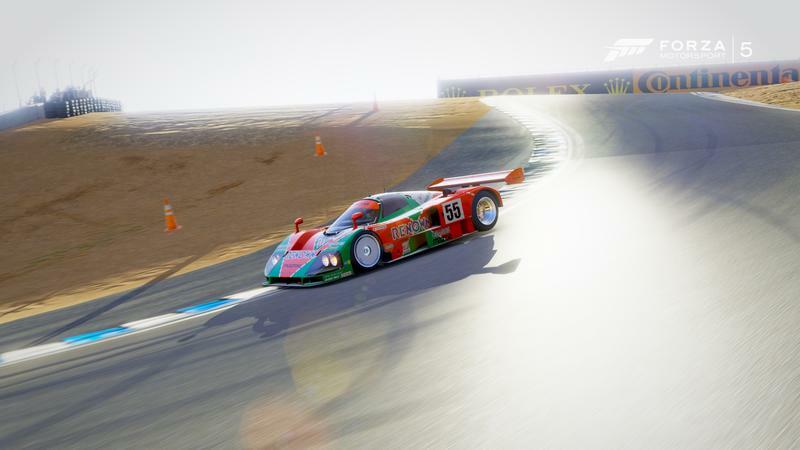 Running up to my review of Forza Motorsport 5 a few weeks ago, I mostly played the game like everyone else: Go from series to series, race to race, battling Drivatars for first place. I had a lot of fun with it, as evidenced by the score I gave it. Once I’d finished the review, though, and was playing it entirely for pleasure, I found the way I played the game changed. The game became immediately more rewarding from a gameplay perspective (even if not necessarily a monetary one). Racing against other cars is fun, and the Drivatars work for the most part, but Forza is all about the simulation of the tires on the ground. As I became a better driver, I often found myself frustrated with the other drivers on the track. Cranking up the difficulty helped, but 16 cars is just too many for most tracks. Races against two other cars or the matches against The Stig’s Digital Cousin were some of the most fun I’d had with the game. I found myself, instead, spending more and more time in Rivals mode; the more time I spent in in Rivals mode, the more my personal play style changed. Rivals mode presents you with a variety of sub modes, such as drift racing or racing within a certain performance class. Within each sub mode, you can pick any track in the game and select an appropriate car. If one of your friends has clocked a lap on that track that fits into requirements of that mode-whether they were racing in that mode or not-you’ll be presented with your friend’s lap time and ghost. Each time you beat a rival’s time, you’re presented with a new rival, giving you an endless list of goals to overcome. Overcoming rival times nets you experience points and money, with the rewards increasing as you disable driving aids (just like in the series mode), so even if you’re saving up for a car it’s still a valid way to play. 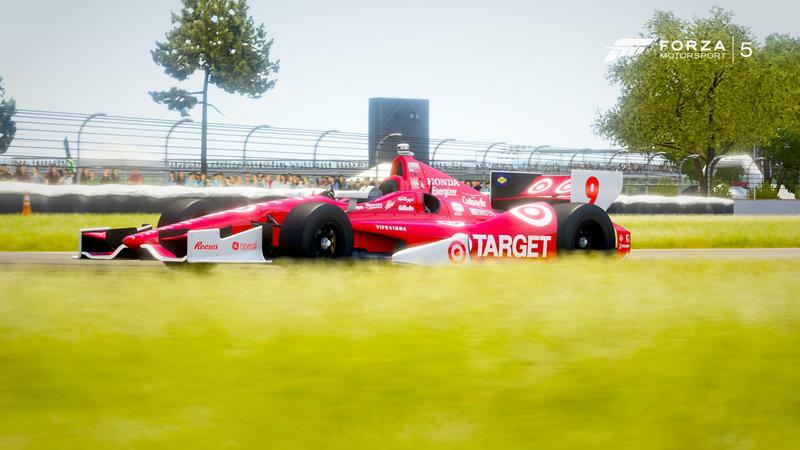 Once you’re in Rivals, it’s just you and the track and a target time with an unlimited number of laps. This is driving as pure as it gets, even if you don’t have a wheel. There aren’t any other cars to ruin your racing line, interrupt your corners, or dirty your laps. You can concentrate, then, on getting a fast, clean lap. A clean lap can’t have any collisions, any jaunts off the track, or any rewinds. As I spent more time in Rivals, rewind’s usefulness changed drastically. With my goal being a clean lap, rewind started to exist in support of that, rather than as a tempting, overused tool for perfecting a lap. Instead of perfecting each corner, you have to say, “I’ll come back next lap.” The reward for a clean lap is that your clean lap puts you above all the players with dirty laps, no matter how fast their time is. Even if you can’t beat a time set by a rival with a dirty lap, you don’t know how many times they had to rewind to get that time. 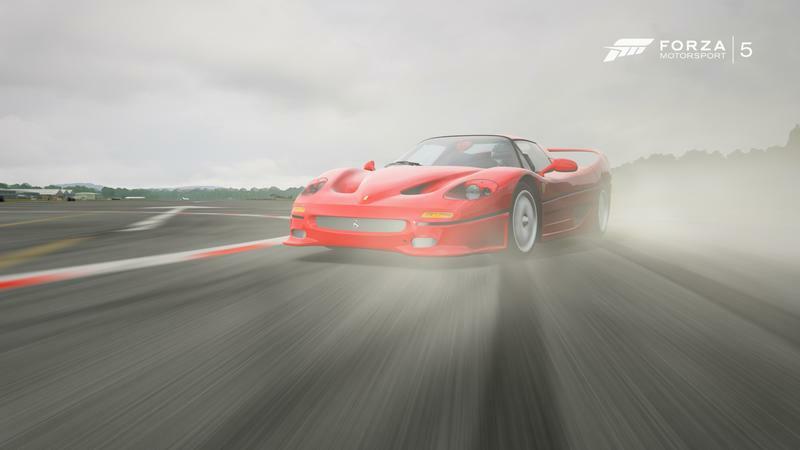 I sat down one evening with my Ferrari F50, picked the first track in the list and started putting down clean laps on each track, no matter how many laps it took. When I looked up, close to four hours had gone by. Rivals mode is almost a meditative version of Forza. Driving becomes more organic and improvisational. It’s also a great way to memorize tracks and learn to drive with fewer and fewer aids, making the game that much more rewarding. If you’re playing Forza and finding yourself frustrated, give it a try. 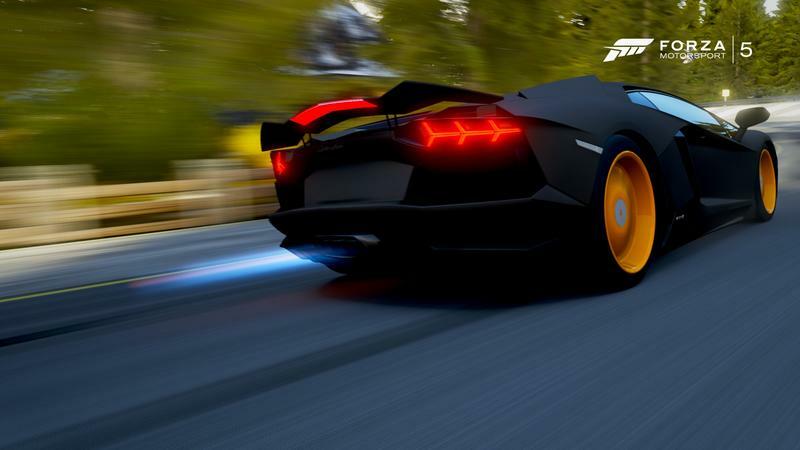 When you’re alone on the track, just feeling the grip of the tires releasing and taking hold as you move through corners, Forza Motorsport 5 because a new game.